This is our reference NY-15745. 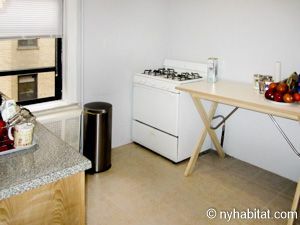 Welcome to this 2-bedroom furnished apartment in Midwood, Brooklyn. 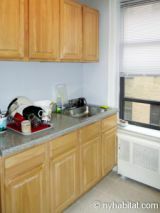 Occupying the 2nd floor (considered as the 1st in Europe) of a 4-story low-rise building, it is situated between 19th Street and Avenue H in south central Brooklyn. The building provides a intercom system for residents as well as a shared laundry room, and is conveniently located near a subway station and Brooklyn College – perfect for students or families seeking a residential neighborhood with direct access to Manhattan (Q line). 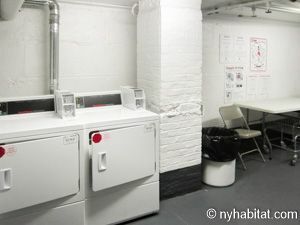 There is also a common courtyard area for residents -- the laundry facilities are reachable only by crossing this area. 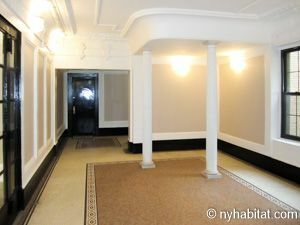 Lined with wood floors and decorated tastefully, this apartment offers a classic building details in a peaceful neighborhood. Both the living room and master bedroom (Bedroom #1) have crown moldings, and the bedroom also has the remnants of a wooden fireplace. 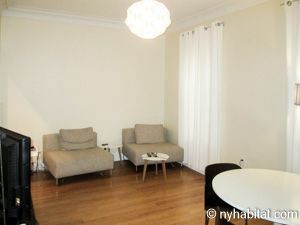 The living room is furnished with two chairs, a dining table with chairs, a flat screen television, and two extra-long windows with curtains. 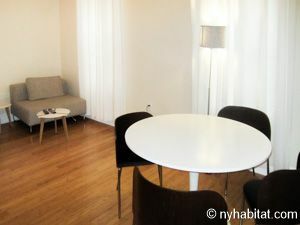 Here you can relax during lazy nights at home or entertain your new friends in NYC. 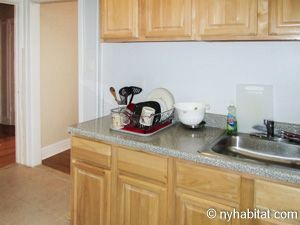 The kitchen is tiled and is a pleasant separate space in which to prepare meals. Cooking full meals at home is a great asset that may save you a lot! 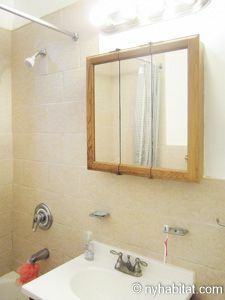 The bathroom is tiled and includes a medicine cabinet with vanity lights as well as a window for ventilation. 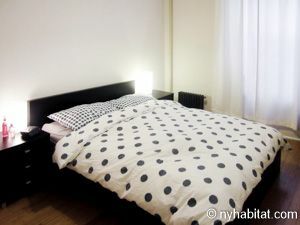 Both bedrooms are similar in exposure and feel, and are conveniently laid out for apartment shares, with the bathroom situated in between them. 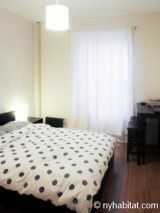 Bedroom 1 spans 200sqf (18.5sqm) and is accessorized modernly. 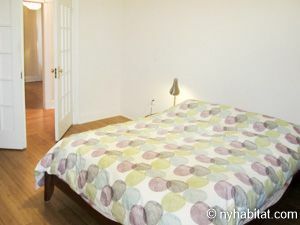 Included here are a queen-sized bed, night stand, dressers for storage and a window facing surrounding buildings. 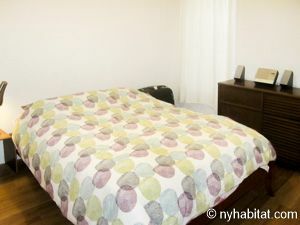 Bedroom 2 spans 150sqf (13.9sqm) and provides a cozy, contemporary ambiance. Included in this room is a queen-sized bed, desk with stools, matching night stands and a window with view of surrounding architecture. 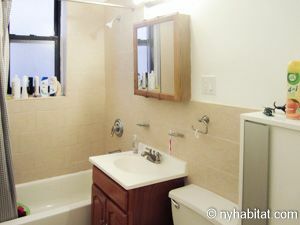 $2500/month until March 31st, 2018 then $2800 per month.